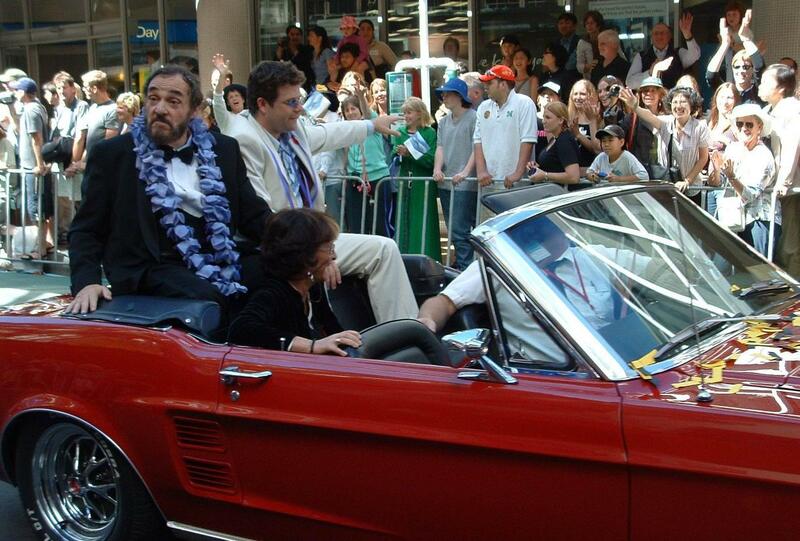 This page provides brief descriptions and photos from club events during 2003. 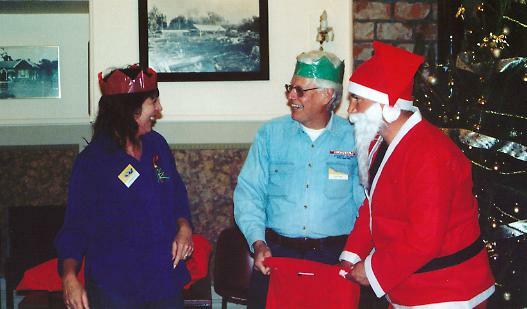 The annual club Xmas party was held at the Te Kowhai centre in Levin. Its a popular location and once again the sun shined and there was an excellent turn-out. This event must be one of the most popular club events and its where you can be fairly sure to see lots of members you may not have seen all year. The club group photo below includes about 50 adults and a dozen or so kids, all of which received a pressie from Santa, ably assisted by club president John Camm. Charmaine Scott was most impressed! 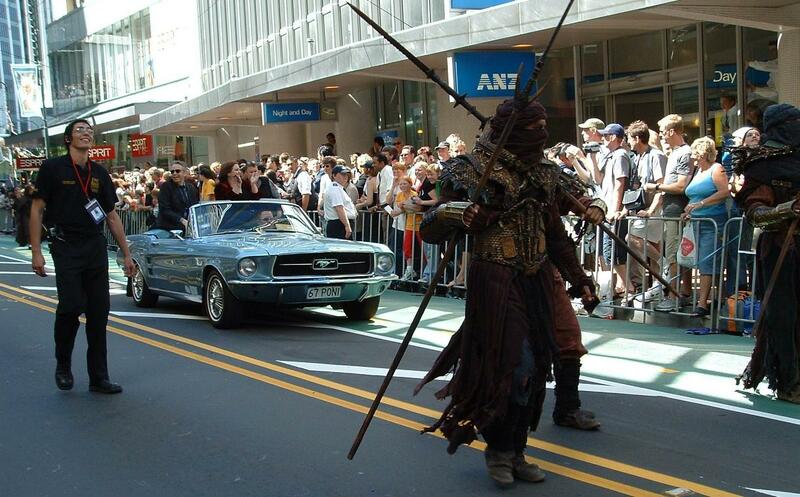 The MMOC contributed 6 cars to the stars for the Return of the King Movie World Premiere parade through the streets of Wellington. 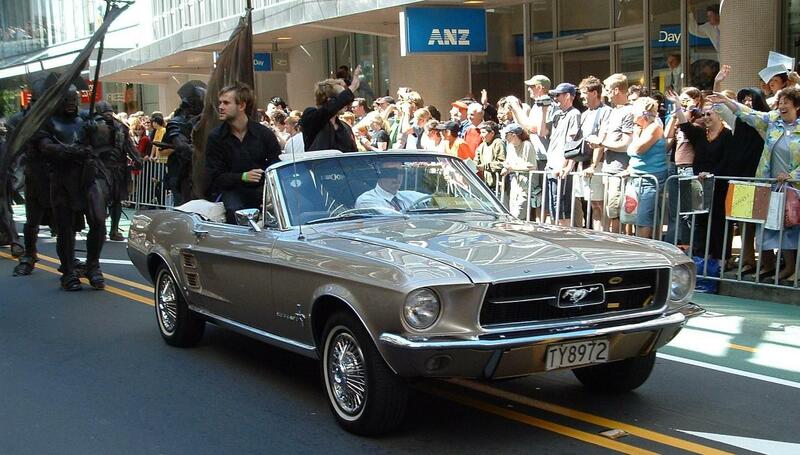 Charmaine Scott provided these stunning pictures. Do you have any more?? Oh Boy.... what a weekend this was!! 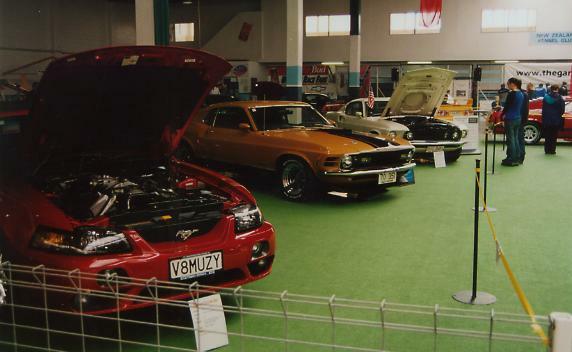 The eight club members that were invited to display their cars at the Wellington Corvette Club organised "Performance Car and Bike Show", didn't realise what weather woes were in store for them on the Friday night when the cars were assembled at the Prosser street venue. The heavens opened more than just a little that afternoon and evening. The cars coming in from Kapiti found themselves in torrential rain, and having to wade through flooding in Mana Esplanade, almost up to the door sills. Eventually all cars made it to the Kennel club but extensive towelling was need to dry off and clean the cars and the drivers! 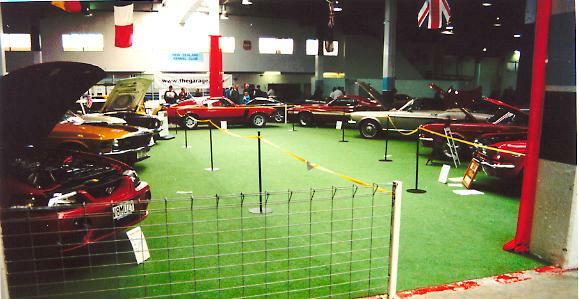 Once the cars were cleaned up, and positioned appropriately for the show in the "Corral", the members departed (in more driving rain) to a Tawa Restaurant where we could sit close to a hot fire, sup some ale, eat up, and watch the horizontal rain streaming down outside. Little did we know that while we ate and chatted away the evening, Paekakariki was being rapidly drowned in a sea of mud and SH1 and all other roads to Kapiti were being closed. Wal and Fiona were very lucky to get home before midnight (after some fast talking at the police road block), but Mike Hampton, John Camm & Chris Stone, and Dale Such didn't make it back till nearly day break. Show time 1 and 2, Wals Boss 429, and something more exotic: a Lamborghini Diablo no less! There’s an old Glenn Yarborough song, “Baby, the rain must fall...baby, the wind must blow.” He must have been to New Zealand in September, because that’s an accurate description of the weather on this day. 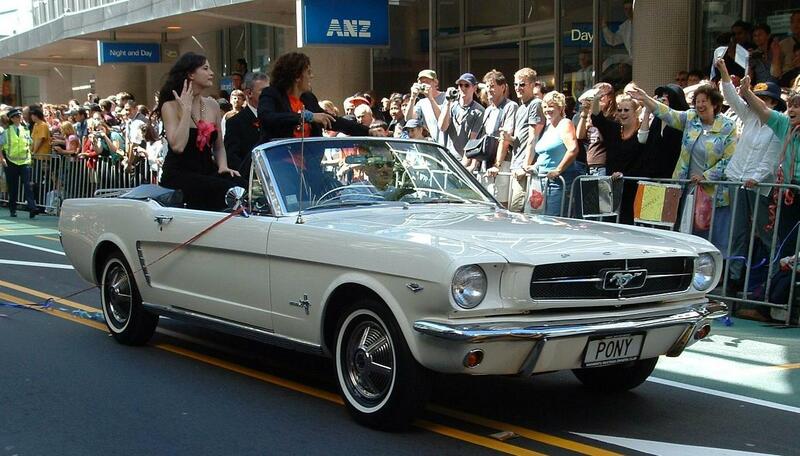 Ten Mustangs parked on Taranaki Wharf (thanks to Waterfront Wellington for arranging parking for us). 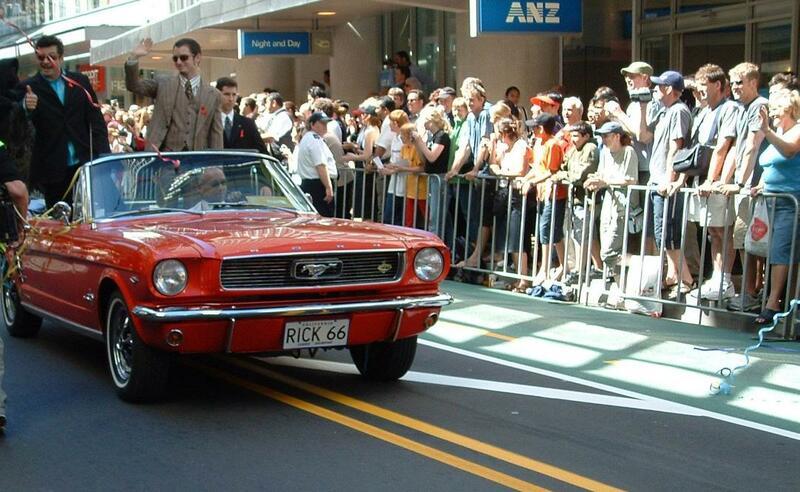 Te Papa don't let car clubs display directly outside anymore. They say cars are too heavy for the foundations, although I'm fairly sure the Army tanks I saw displayed there not long ago were not made of cardboard. Never mind, it was only a short walk to the museum, mercifully. Pleased to get inside out of the weather, especially those manning the gates (okay, so it was actually a chain and padlock), waiting for a couple of geographically-challenged members to stop circumnavigating Wellington and work out where they were supposed to be going, we set about checking out our favourite museum pieces. Those who hadn't been to it, and some who had, queued for 'Golden Days' (well worth it); the fabulous Britten motorbike that you're not allowed to touch got touched a few times; Kiri's frocks were closely examined (including by some of the blokes who hadn't run fast enough and had to accompany their partners) and the Ford fans admired the corrugated iron Holden, reckoning that was a good thing to do with the brand. By the time we met up again for lunch, the skies had cleared and we were able to sit outside. 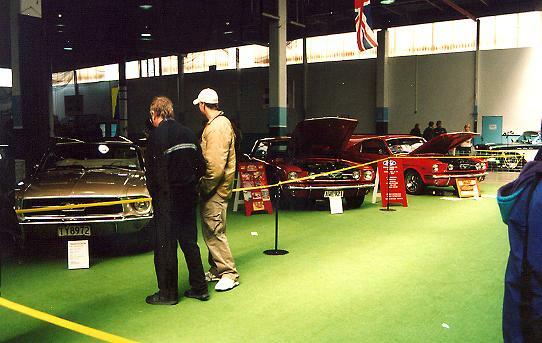 Meanwhile, while hundreds queued for hours and then paid $12 to look at Jappa 'show' cars at the nearby Events Centre, strollers were able to eyeball gorgeous classic (and new) cars for free. One cheeky chap got so excited he opened the door and climbed into past president James' car for a closer look, without so much as a by-your-leave! We were so shocked that, once cheeky chap had been evicted, we had to pop into the adjacent Wellington Brewing Company for a quick pick-me-up. 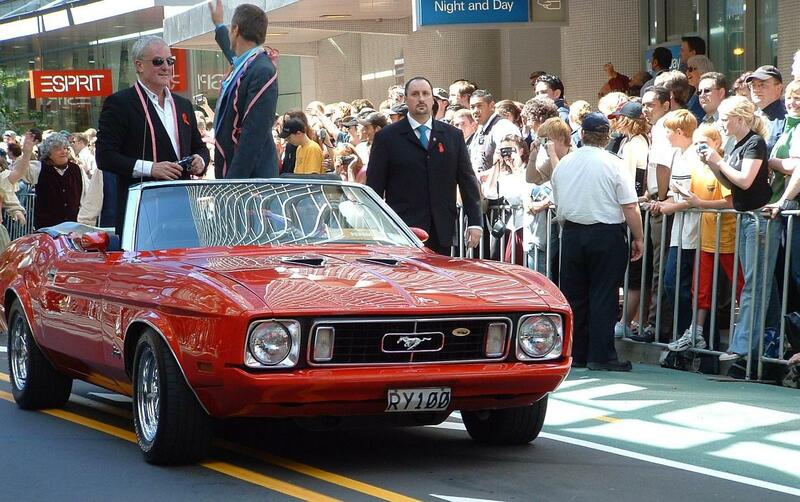 September is always a difficult month for club meetings, what with indifferent weather and club cars off the road being prepared for convention, but those who did make it to Te Papa enjoyed the day, and passing locals and tourists enjoyed checking out our cars too. June Meeting: Masterton AGM June 22nd. Event report by Wal Marshall. Venue for the AGM was Mastertons Burridges Cafe. This is positioned with its car park right by the large roundabout at the north end of the town, and so attracted a steady stream of visitors to admire the line-up of gleaming Mustangs all day. Once everyone had eaten (which took a while and the restaurant eventually ran out of fries!) the AGM got underway in the lovely sunny upper room. The meeting rolled along with good humour as a round of new officers were elected, and by 3 pm it was all over. The enjoyable run back over the hill capped a great club outing. Pure luck saw us choose a great weather weekend for the annual Hawkes Bay excursion. It had to be, given the full programme expeditions to various Bay attractions. 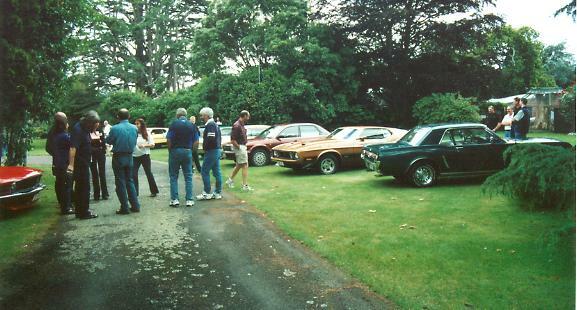 Seven cars left Wellington at an ungodly hour on the Saturday, to meet with others from the club’s diverse regions at the first “event”, lunch. A mechanically uneventful and pleasant trip up ended at Pernel Fruitworld near Hastings. We would have been on time, too, but we’d had to wait for Farmer Johnson to move his cows before he could join the convoy. And it was a chilly wait, too, at the foot of the Rimutakas. Other visits included Arataki Honey in Havelock North, where Gill told us a thing or two about bees and we took the opportunity to stock up on honey and other bee products from the gorgeous-smelling shop, and Classic Sheepskins in Napier, who have made sheepskin seatcovers for Mustangs in the past, do a great tour (thanks, Margy), and had their stocks of slippers and socks dented while we were there. A highlight for many was something early arrivals John & Sue Peters discovered: U-Drive Sprint Cars, which we headed for in indecent haste. It’s a very small track and the cars are not really ‘sprint cars’, but they are a huge amount of fun. Because it’s a one-at-a-time, race-against-the-clock track you can take your own car round. After a few ‘sprint’ car laps Mustangs started appearing – and acquitted themselves well, given that the track isn’t much bigger than the cars! The owner was impressed by our members’ quickness and consistency for a first outing – there are ‘boy racers’ who practically live at the track and don’t get round much faster. Fastest times went to people called Ron – fastest overall was Ron Johnson and Ron Dewsnap had fastest ‘sprintcar’ and early-Mustang times. The hard-luck award had to go to Mark, whose 2001 Cobra had a disagreement with a corner marker, luckily sustaining little damage (the markers are made out of heavy cardboard rather than concrete for this very reason). 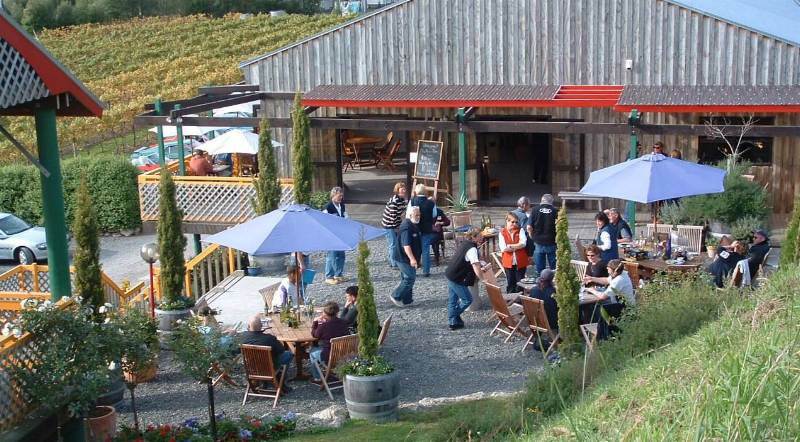 Gastronomic highlight for many was Sunday’s lunch at Linden Estate winery. They do a reasonably-priced platter of cheeses, breads, dried fruit, fruit cheeses, salami, relish, dukkah, etc and it is just yummy. 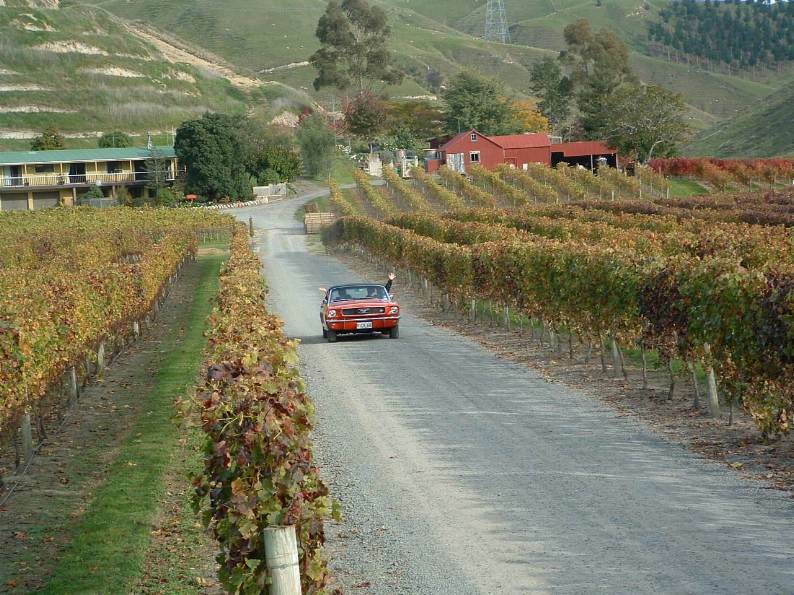 Tastings of wine from four local vineyards cheered up a few and we met the club’s newest members, a German family, who brought their lovely white 66 convertible with them when they came to live in NZ. The trip home was almost as uneventful as the one up, except for one car filling with smoke from a cigarette lighter socket/radar detector disagreement. I’ve never seen the occupants move so fast! Another car threw a pulley, fortunately near home, but the rest behaved impeccably. Given that some are preparing their cars (and pockets) for convention, and that a whole weekend away can be a big commitment, this was a well-attended and enjoyed event. We’re already thinking about what delights we can come up with for next year. Enjoying Linden Estate's fabulous platter lunch. On one of those glorious autumn days that makes you think of spring, and with no danger of rain in any of the far-flung places our members set off from, we met at the Amazing Ma(i)ze just north of Bulls. “A maze in a cornfield, whoopdedo”, you might think (I did), but this one really is amazing. Every year they do a different pattern and this year the 16 acres was set out as a tractor, America’s Cup yacht and even words. The thought of having 16 acres to get lost in was a bit worrying, but at least we were given flags to hold up if we wanted rescuing several hours later! The design included lots of dead ends, some of them VERY long. We acquited ourselves well – the usual average we are told is 45-50 minutes – most of us got out in 40 minutes. Pete Kriven must have a well-evolved sense of direction; he made it out in 29! After a picnic lunch (so many club members have Briscoes’ $25 deck chairs we may have to ask for a group discount) it was on with the grasskhana. Given the drought conditions, it was more of a stalks, thistle, pennyroyal and dust-khana, but that didn’t stop the participants from having heaps of fun. Nor did the mouthfuls of dust that came in either or both windows when ‘negotiating’ the 360-degree cone! There was the usual dilemma of go for a good time or throw in some extra roundy-roundies and never mind the stopwatch. This seemed to be Warren’s strategy, although he claims he got lost, but frankly, this was probably the most straightforward course we’ve had and if I didn’t get lost, it probably wasn’t possible to. Club Picnic: Picture James O'Regan. The trophy for fastest round the course went to Craig Bartosh; Peter Elliot was second and Rob King third. We took Maze co-owner Andy for a hoon round the track and then he showed us the props and tricks they use for the evening “Horror Maze”. We won’t give away secrets but will say that there are actors and other props such as ‘forestry machinery’ that get used when you least expect it. Apparently every evening at least two people get such a fright they have a ‘little accident’. Of course, some of us think we are made of sterner stuff and are considering an overnighter for the next meeting at Owlcatraz so we can do the Horror Maze the night before – if it’s still open; being a live crop this maze is very much a seasonal one. 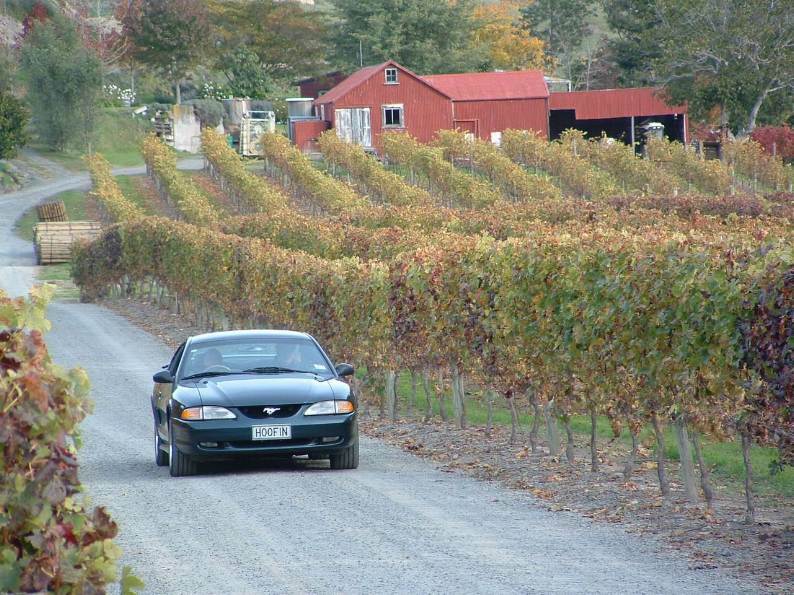 Next day I was vacuuming a thick layer of dust out of our pennyroyal-scented Mustang and pondering whether it’s actually worth flinging your precious car round and stressing its old bits and pieces just for a bit of fun and adrenalin… Hell, yes! The show was held at Manfield on Sunday 23rd Feb. The profits from the day went to the local rescue helicopter, with the car clubs getting in free and the public having to pay to view the cars/trucks on display. 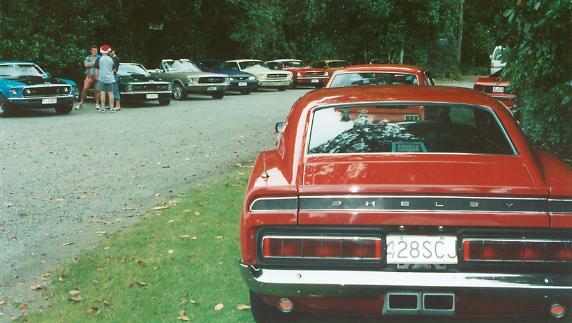 It was a really hot and clear day with 27 Mustangs turning up. There was plenty to view at the Central Districts Motor Show from the square trust rescue helicopter to Model T`s and earlier cars. 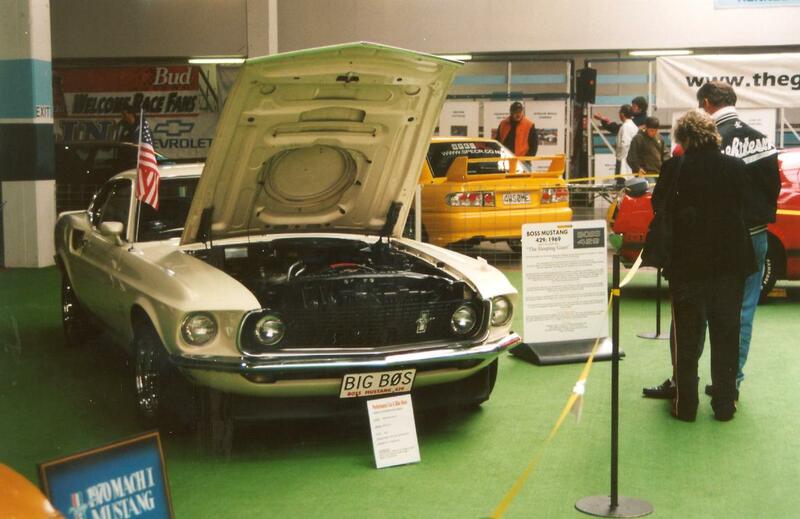 The advertised feature of the show was the recently auctioned vintage ruggles truck, and of course the most of one make of car on display - Ford Mustang. i overheard comments from two people who were there at a meeting later in the week and it went something like this - "....it was a good day, but where do all those Mustangs come from?....". Really good to see so many in one place. So a pat on the back for the club members who turned up and we will see you at the "Amazing Maze for the March meeting.